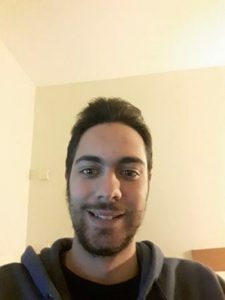 Charalampos from Greece talks about his time as a postgraduate student at Cardiff. He talks about first impressions, funding, accommodation, why he chose Cardiff, student life in Cardiff and more. After my undergraduate degree, I decided to search about a postgraduate program with excellent reputation in order to help me to develop my future career. Cardiff University met my requirements. Therefore I began the procedures to become a student of Cardiff University. From the first moment I realised that all the university staff were very kind and helpful to me and they showed particular interest in my enquiries regarding enrolment issues. Furthermore I felt the need to refer to the Cardiff University website which helped me to answer a lot of questions I had. The whole procedure of enrolment was well organised and I did not face any problems. After my arrival in Cardiff I knew that I had a lot to do. However university people were close to me and when I needed it I had their help. When induction week started I realise that this week could be an opportunity to socialise and learn extensive information about university and city. A lot of activities helped me to adapt to my new environment and I tried to participate to all of them. Due to induction week, my first weeks in Cardiff were very pleasant and at the start of my studies I had a clear view about what is happening. There were a huge variety of activities and through them you can make a lot of friends which is the most important element in my opinion and of course to have a greater knowledge about his course, his tutors etc. which is another important aspect. Before my research about my postgraduate studies, I knew that the required sum I had to pay. After my final decision to study at Cardiff University, I tried to obtain a scholarship in order to reduce my costs. To be honest I was based on my high average mark from my undergraduate studies in Greece (7,31 out of 10). I was awarded a Master’s Excellence Scholarship from Cardiff University and this reduced the tuition fees that I had to pay by £3,000. For someone who is interested in studying at Cardiff University there is also the choice of obtaining a student loan. Studying in Cardiff University was my dream, a dream that came true. I was impressed with the campus, libraries and, generally, all university facilities. In addition the City of Cardiff is definitely one of the most beautiful places I have ever been and I try to spend my time exploring the city and the surrounding area. Regarding my favourite place in Cardiff I would select the Julian Hodge study centre on campus, because it is close to my residence, there are a lot of IT facilities with high speed and reliable internet connection. Usually I prefer studying in my apartment which is a university residence (Talybont Court). To be honest, regarding studying, I could not find a place off-campus that suits me. When I have free time, a good place for me was is the city centre. There are a lot of things to do like shopping, relaxing and enjoy a coffee or beer with friends. Furthermore when I manage to “escape” from my responsibilities, I organised some mini-trips near Cardiff. These included a visit to Caerphilly and its castle. One of the reasons that motivated me to make an application to Cardiff University, was the extremely good reputation of the university in my MSc (Maritime policy and shipping management). When the course started, I realised that all things I had heard about Cardiff University were correct. All of our lecturers have the willingness to help you and answer your questions and in parallel, they motivate students to study harder and do further reading (to study from additional resources). All libraries in campus have a huge variety of books for each academic sector and all these books and journals are easily accessible to students. All assignments were relevant to the lecture material and due to them I had the ability to combine my sources in a proper way, I learned how to reference properly and all the feedback I received, underlined my mistakes and how I could avoid them repeating them in the future. From the moment I started university, I was constantly thinking about my future career and how could I boost my CV. Therefore I decided, after my undergraduate studies to pursue study at postgraduate level. The basic reason that motivated me to continue to a postgraduate programme was the will to obtain further knowledge about my subject and due to this knowledge, increase the possibilities to have a job in the future. Cardiff was my 1st choice to have my postgraduate studies because of the extremely good reputation about my subject (MSc Maritime Policy & Shipping Management). Before I come to UK I was informed about the quality of teaching as well as about the lecturers. When I came in touch with them, I realised that the reality met my expectations. All the lecturers are helpful to answer at all of our questions and they motivate us to study more and achieve higher marks. In addition Cardiff University with its facilities attracted my interest. Before I submit my application to my MSc degree in Cardiff, I was exploring the Cardiff University website. There are a lot of facilities, libraries, study centres which increases my will to study in Cardiff. To conclude I strongly believe that a degree from Cardiff University, is more likely to enhances my CV and provides me a successful career path. Before I moved to Cardiff for my postgraduate studies, at the same time as my course application, I searched for suitable accommodation for me. I chose a university residence (Talybont court) and the reason is that the price was much lower than a private accommodation. I am a person who loves socializing and meeting people from different countries and cultures. Therefore I chose to live on campus because I knew that I would make friends. In addition, living on campus becomes more convenient as you don’t have obligations to pay the bills. All the bills (water, internet etc) are included in the price. In general I am very satisfied from my experience in Talybont court. It is a clean and quiet place which gives you motivation to focus on your studies. Before I came to Cardiff I knew that I wanted to live on campus. I explored all the residences and I put as my first choice the Talybont court residences. I recommend to prospective students of Cardiff University, to do your application for residences as early as you can. If you do so, you will have many possibilities to be placed at their first choice. During my studies at Cardiff University, I could identify many differences between my undergraduate and my postgraduate studies. The postgraduate programme was more intensive, maybe more demanding but also more interesting because the undergraduate programme had a lot of general modules while the postgraduate programme concentrates on a specific area which is very interesting to me. The programme is very intensive as I told you before. A lot of assignments should be done by a specific deadline and the assignments in one year were much more from the assignments that I had done in one year in my undergraduate studies. However, even the assignments were more relative to the subject while the assignments in my undergraduate programme were more general. When I took the decision to have my postgraduate studies abroad, I checked very carefully every university. Cardiff University attracted my interest because of its prestige and reputation in my subject. The teaching staff were very good and I realised that during the lectures. In addition, the facilities of the university raised my wish to choose Cardiff University. I took a look in the teaching rooms, the residences and I was impressed. Another important reason could be the city of Cardiff. Through internet I could see that Cardiff was an amazing place especially for young people and students and when I came here, I realised that I found everything I expected. I prefer Cardiff for my studies because of the fact that the city is not so big (ex: London) and I feel more comfortable in a smaller city. I knew from the beginning of my studies that a postgraduate degree could be a “tool” that would give me easier access to any job post in my sector. Studying at Cardiff gave me the ability to improve my English which is totally necessary in my sector (shipping). Furthermore, the fact that I extended my studies after my undergraduate degree, could be an important asset for my CV and the possibilities to obtain a job are higher. Regarding my future career plans, I prefer to find a job in UK, a country with tradition in maritime industry in order to obtain international experience. Specifically I expect to work for a shipping company and through tough work I hope to climb up the hierarchy and obtain another post with more responsibilities.